Home Water Damage - what is covered by home insurance? What Water Damage to Your Home will your Insurance Policy Cover? There is a lot of confusion about what types of home water damage coverage under a home insurance policy. 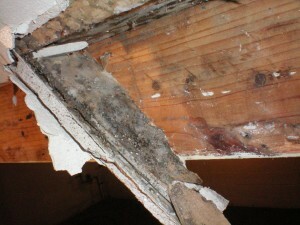 Furthermore, most home insurance mold claims are denied. This leaves homeowners with a lot of questions. Because when it comes to home water damage it is in the fine print. Let’s take a look at what types of home water damage is covered under your insurance policy. Also, what to do if water damage happens to your home. Homeowners policies do not typically cover losses due to a flood. Although insurance companies do not cover floods, they do include other kinds of home water damage. Does Your Home Insurance Cover Weather and Water Damage? For example, insurance would generally pay for damage from rain coming through a hole in the roof or a broken window. Due to only if natural high storm winds caused the hole. On the other hand, if you have a hidden pipe leaking into your house and over time water damage occurs, that would not be covered. Furthermore, it pretty much boils down to whether the water damage was caused by a covered peril such as a storm. Also, if the water damage were due to you not keeping your house maintained or repaired then insurance would not cover it. Understand your home insurance policy or check with your home insurance company now, before any damage occurs. Regardless of how the water damage happened, it is important to take similar steps to remedy it. Never ignore indications of an obvious water problem in your home. You should immediately attempt to find and stop leaks at their source. When water leaks into your property, moisture can collect, allowing mold to develop. Mold can cause further damage to your property and can potentially cause health problems. The adverse health effects from mold exposure can range from runny noses, coughs, nosebleeds, congestion, and sinusitis to more serious upper respiratory ailments such as asthma or bronchitis. Also, some insurance companies restrict mold damage claims, some mold damage may be covered if it was caused by a covered peril. You should immediately report any Water Damage to Your Home to your insurance agent. Sudden water damage occurs to your property, such as with a storm, it is important to dry all wet areas and provide air circulation to aid in the drying process. Also, cover any areas with a tarp to prevent more water damage. 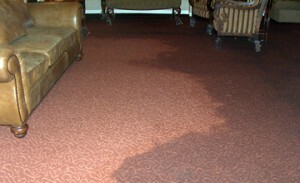 Covering, drying, and dehumidifying wet areas can help minimize the possibility that mold will accompany water damage. 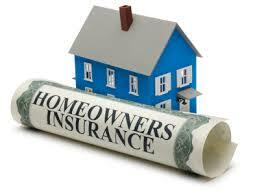 Always contact your insurance agent immediately to start the homeowners insurance claims process. 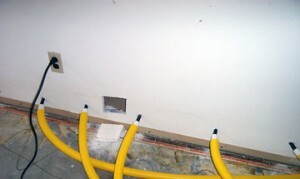 What do you do if you find water damage that indicates leakage over a period of time? Unfortunately, mold may have already developed and more than likely your claim would not be covered. In this case, attempting to clean up the mold may spread the mold spores, causing greater property damage or health problems. Mold can be dangerous to your health. Therefore, mold testing and cleanup should be conducted by professionals as a mold is detected. Contact your insurance agent to see if any of your damage can be covered under your policy and contact a professional mold cleaning company. Will Your Homeowners Insurance Replace Your Entire Home?